The name "T.H. Roberts" and the phrase "The Roberts Fund" (short for "The Balaclava Light Brigade Charge Survivors' Fund") appear so frequently in this archive in relation to specific men that it is useful to explain their significance in a more general way, and to draw attention to the extraordinary character and achievements of Roberts himself. The following article, by Chris Poole, was first published in The War Correspondent in 2009. The editors are very grateful to him for allowing us to include it here. T.H. ROBERTS, 1850 - 1915, "Friend of the Light Brigade"
Within a month of bringing seventy-four Survivors of the Charge together for the Queen's Jubilee in June 1897, Roberts had been so moved at the plight of many of these heroes that he became Founder, Secretary and Treasurer of the Balaclava Light Brigade Charge Survivors' Relief Fund and so began a truly remarkable story of a hard-working businessman who was to dedicate so much of his spare-time labour for their welfare. Thomas Harrison Roberts was born on the 2nd February 1850 at Clarence Street, Kingston upon Thames in Surrey. His father, also named Thomas, was a grocer and his mother was the former Amelia Harrison. They had been married in Worthing and had their marriage registered in the March quarter of 1849. By early 1861 his father had had a change of occupation yet again and from being a grocer, then a butcher, he now became a painter, whilst his mother was a laundress; and they were now living at 12, Winchester Terrace, Westminster in London. 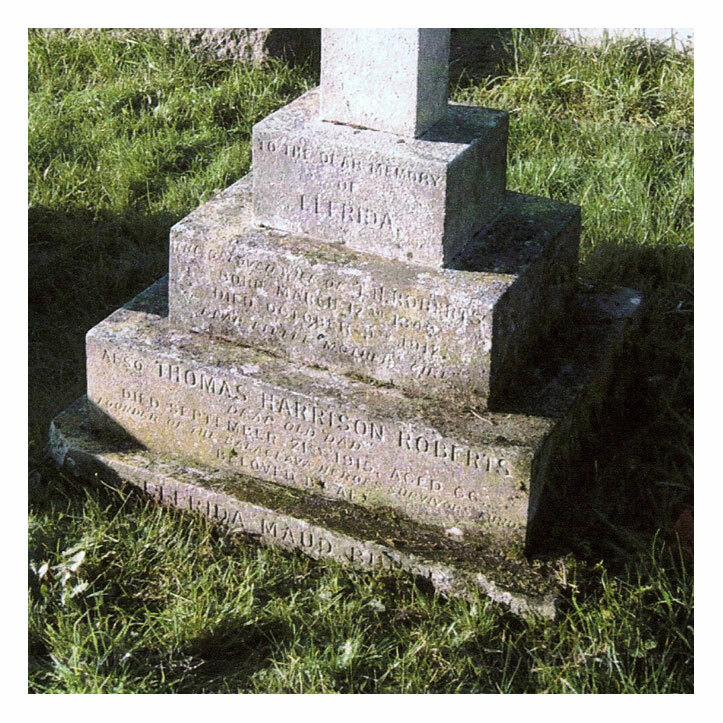 Young Thomas was the eldest of three children, Thomas being 12, Amelia Annie 10 and Albert 8 years old and they all attended school. The 1861 Census interestingly notes that there was an Edward Littlefield, who was a 16-year-old stepson, living at the same address. Ten years later and young Thomas had left the family home and was lodging at 11, Sussex Terrace, York Place, Finsbury and he had moved into his chosen profession as a Publishers Clerk. The head of the house was Mary Hogan, who had previously been a school mistress, with her two children - William, aged 26, who was also a Publishers Clerk, and a 23 year old younger sister, Elfrida. Mary's husband, Alfred Hogan, was a Law Stationer. Thomas Harrison Roberts and Elfrida Hogan were married at St Clement Parish Church in Barnsbury, Islington, on the 13th October 1872. The Curate recorded his name as "Thomas Henry" and Elfrida as "Alfrida", the witnesses being her brother William, sister Jessie and her mother.They were to have three children, Thomas (1873), William (1875) and Elfrida Maud (1878). Elfrida was born on the 13th March 1878 when they were living at 15, Waterloo Terrace, Islington, with Thomas H Roberts described as a Wholesale News Agent. By 1881, T.H. Roberts was a Master Publisher employing 8 men and 2 boys with his family living at 15, Waterloo Terrace, Islington. Thomas was now only 31 years of age. 1895 was to become an eventful year. His daughter, Elfrida, was to marry James Stanley Burgess in Kensington. But there was another recorded incident that was ultimately to affect him for the next 20 years, being the remainder of his life. He printed a letter in one of his publications, "Illustrated Bits", from a Mr. Creamer of Brisbane, an old cavalryman and latterly farmer who had settled in Australia. The writer made a generous offer: if Roberts could find a Survivor of the Charge of the Light Brigade who was willing to go to Australia then the cavalryman would pay not only for his passage but also his upkeep. After great endeavours no one came forward but this act did bring the names of the men to Roberts" attention. Probably as many of the Survivors were in their 60s it was a journey to far. The letter was duly filed away. This was the year of Queen Victoria's Diamond Jubilee and Roberts was considering offers to rent out his windows in Fleet Street so that people could have an excellent view of the magnificent procession. The letter from Australia came to mind and he immediately thought it an excellent idea to contact all the Survivors of the Charge of the Light Brigade and bring them together to watch the proceedings so that "they could see their Queen, and their Queen could see them!" He went to great lengths to obtain a list of the men including involvement of the Secretary of State for War and the Royal Patriotic Fund. Eventually he went into print and sent out sixty-nine invitations, all of which were gratefully accepted. There was to be one unfortunate incident at the commencement of this magnificent labour of love. He had received an acceptance letter, dated 25th May, from an old 8th Hussar, Robert Nichol from his home at Charlotte Street, Newcastle-on-Tyne who concluded by saying: "I am in ill-heath just now, but I shall write to you later if I find myself unable through illness to come at the appointed time. Again thanking you for your kind invitation'. Sadly he took a turn for the worse and passed away three days before he was due in London. He died at 6 a.m. on Friday 18th June, Waterloo Day, of "Rheumatism, Bronchitis and Exhaustion". Roberts was notified of his death courtesy of the editor of the Newcastle Journal and immediately sent a beautiful wreath by train with a personal letter to Nichol's wife and an "enclosed cheque will no doubt be useful to you in your great trouble" This was to be the forerunner of his noble gestures, though few of the Balaclava veterans would have known it at the time as they made their way to Roberts's London celebrations. Although the invitations were sent out in May, word must have got around for seventy-four survivors actually attended - six of them came from the workhouse! An excellent time was had by all concerned. All the veterans had been met at the various stations by Roberts" staff and handsomely looked after for the rest of Monday, the whole of Tuesday and respectfully helped on their way home on the Wednesday. Roberts must have been deeply moved not only by the occasion but particularly by the situation of many of the Light Brigade. Here in front of his very own eyes were the remnants of Tennyson's 600. Being in the heart of Fleet Street, he would have been acutely aware of the publicity, only seven years before, of another prolific poet who wrote about the Last of the Light Brigade. Roberts would surely have empathised with Rudyard Kipling! And what a tremendous moment of history for them all when as Queen Victoria's open coach pulled up to acknowledge "her" Light Brigade, Trumpeter William Perkins stepped forward and sounded "The Charge". 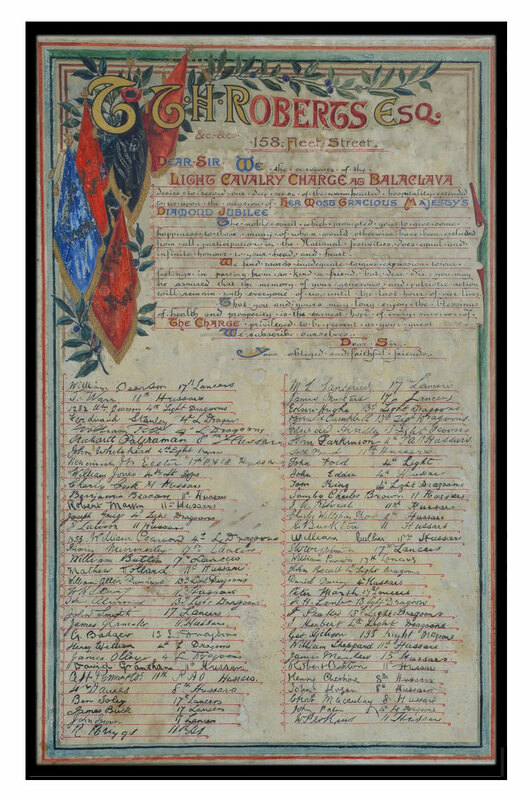 Illuminated address presented to T H Roberts, signed by 65 Chargers brought together to view Queen Victoria's Diamond Jubilee celebrations in 1897. A few weeks later, James Herbert wrote to Roberts on the 26th July 1897 upon a printed letter heading - 119, Warwick Road, Earls Court, Kensington, S.W. Your handsome souvenir of the Jubilee to hand and for which I beg to thank you very much. I hope you have got rid of the Enemy (the Gout). I got home last Thursday all right and I must say I much enjoyed myself. I beg to thank you for your kind invite which I hope to return. I will try and arrange a meeting for one day this week. I enclose you a letter received on Saturday last and shall be glad to receive your instructions on the matter. My kind regards to you and yours. Four months later, at the annual dinner to commemorate the forty-third anniversary of the Charge held at St James's Hall, the chairman for the evening was also the president of the Balaclava Society namely James Herbert. When he stood to propose "The Friends of the Light Brigade" he also mentioned that Mr. Roberts had "instituted a fund for the relief of the survivors, many of whom were in extreme old age, and were without means of support". It must have been a very moving moment and with great pride when Roberts, in response, said that since the fund had been established it had now raised over £500 and more importantly 20 of the survivors were now receiving weekly allowances. There were 60 veterans present plus 60 guests and we can only speculate all these years later on the deep esteem and gratitude all present must have felt towards this one man who was giving them some dignity in their advancing years. The camaraderie at the dinner was further enhanced when Pennington proposed "Our noble leader, the Earl of Cardigan, and our officers', and William Bird rose with "The Heavy Brigade and those who fought at Balaclava". Roberts toasted "The health of Miss Florence Nightingale" amidst great cheering! The dinner concluded with a concert again given by Roberts. Roberts worked tirelessly for "his pensioners". The respectability of his Balaclava Heroes Fund included a letter heading featuring royalty, nobility and people of high renown - and, of course, Florence Nightingale. He was mindful to inform people that though he ran a business, this labour of love was a one-man band involving many hours of work solely for the relief of these Light Brigade veterans. Further, not one penny of the subscribed money had been spent on "expenses" - namely all charges for postal orders etc. were borne by himself. His appeals were not only to thank people for monies received but also to state that it had been faithfully applied. "Every farthing donated had been paid to the old veterans". He would have known that a few years previously, the Royal Patriotic Fund had distributed money to the needy of the Light Brigade in 1890 and 1891. However, a distinctive feature was that the amounts were in the form of lump sums, typically £30 and again the following year. Roberts was keenly sensitive of his responsibilities and mindful of "harpies" who thrive on old soldiers. He instituted a very conscientious yet labour-intensive system whereby he sent a postal order to the value of 5 or 10 shillings, depending upon the need, complete with a reply postcard to the old soldier once per week. When the survivor sent back the card he knew that the man had received his pension. Further, of course, small weekly amounts do not have the attraction of larger sums. This gigantic workload no doubt reflected the fact that he had literally sent out begging letters and would not have wanted poor publicity that a badly run Fund could attract. Typical examples of his regular appeals were "The Balaclava Light Brigade Fund - a matinee, in aid of the Fund, will be held at the Tivoli, Strand, on Monday afternoon, April 30, 1900", "Mrs. Potter-Brown will recite "The Charge of the Light Brigade", October 14, 1904", "Court Circular: The Queen sends a £10 donation to the Fund in June 1905", "Three hundred pounds is needed to keep from starvation and the workhouse 25 veritable survivors of the Balaclava Light Brigade Charge. It is not a big sum to ask for, and I appeal - 1907". The Times also noted that there were an estimated 5000 Survivors of the Crimean War and Indian Mutiny still alive in 1908. TH Roberts and the Roberts Fund - montage of publicity materials. By the autumn of 1897, Roberts was suffering with extreme pain caused by gout sometimes lasting as long as six weeks at a time. He, along with a list of impressive names, was to act as a reference for Post's "C.B.Q." remedy and wrote most enthusiastically that over a period of twelve months he had used the ten bottles and had "never been laid up a single day!" In order to raise monies for his Fund he regularly wrote appeals in the press. The January 28th 1899 edition of the Blackburn Weekly Standard printed a long letter from Fleet Street under the banner heading of "The Nation's Heroes". He justifiably put faith in his credentials by simply stating the truth, namely that Her Majesty the Queen had written to him on July 28th 1897 giving her Royal approval and calling his fund a "philanthropic undertaking" - and rightly pointing out to the readership that in order to receive this prominent accolade the fund had obviously been examined in detail! The emphasis always portrayed the situation as he saw it, that the seventy plus survivors that he entertained for the Queen's Jubilee caused quite a stir at the time but he found that some of them "were in actual want", and with that in mind he was determined to make an appeal for help. 4th Dragoons: J. Ford 5s. - W. Pitt 7s. - W. Jones 7s. - J. Gregory 7s. - J. Whitehead 7s. - Jas. Olley 7s. - D.Deering 7s. 8th Hussars: W.Dawn 10s. - R.Palframan 10s. - J.Hogan 7s. - W.Sheppard 7s. - M.Hackett (now dead) 7s. - J.Edden (now dead) 5s. 11th Hussars: W.H.Spring 10s. - N.W. Eastoe 10s. - R.Briggs 5s. - M.Holland 7s. - J.Glanister 7s. - W.Cullen 5s. - Chas. Cork 7s. - H.Mugg 7s. - D. Grantham (now dead) 7s. - R. Davis (now dead) 10s. 13th Dragoons: W. A. Dumayne 10s. - H.Taylor 10s. - J. Lamb 7s. - E.Hindley 5s. 17th Lancers: J.Swiney 10s. - Thos.Wright 10s. - W. Badger 7s. - J. Mustard 7s. - P.Marsh 7s. - W.Pearson 7s. - T.Mullins 7s. - J.Smith (returned to workhouse),10s. He gave accurate and up to date information by stating that J.Smith of the 17th Lancers was not now in receipt of an allowance from his fund as Smith found he was unable to live off 10s. per week and has consequently returned to the Strand Workhouse. He showed his compassion by mentioning that at the time of writing that Martin Hackett of the 8th Hussars had died after "a lingering illness" but in a sense this was a relief for his daily fear was that he would have to return to die in the Lambeth Workhouse from where Roberts took him from 15 months previous. On a more positive note he wrote that one of his pensioners, John Ford of the 4th, had been in receipt of 5s. per week until last Christmas but this had enabled him to obtain employment and does not require further assistance. He concluded by saying all sums received, no matter how small, will be duly acknowledged. Cheques should be crossed "Bank of England, Law Courts Branch" and payable to T.H.Roberts, "Illustrated Bits", Office 158, Fleet Street. Roberts displayed his integrity by declaring that anyone, by appointment, could see him between at his office between eleven and four and gain more information and how the monies have been dispersed. The Roberts Balaclava Fund soon attracted political acclaim. Shortly after the previous article was published, John "Blood" Smith, an Irishman and late 17th Lancer who had attended the 1897 celebrations, was to pass away and his burial was paid for by the newly formed Relief Fund. He had died on the 29th January at the St Pancras Infirmary, aged 79, the causes being "(1) Cancer of floor of mouth, and (2) Secondary glands in the neck with exhaustion". The assistant resident medical officer had reported his death. The Member of Parliament for St. Pancras South, where Smith had resided, stated in the House of Commons that he would have received a pauper's funeral but for the public generosity through Mr. T.H. Roberts, and that a further 27 were receiving contributions to keep them out of the workhouse. I thank you for your communication about Smith's death but I regret to say I shall not be able to attend. My wife, I am sorry to say, is ill and I am not very well myself. I regret to hear of Mr. Smith's death and also Martin Hackett. I did not know of Hackett's death until after he was buried, when I saw a notice which I think came from yourself. I regret to hear that the fund has fallen so low, but I hope you will get more money yet. If there is anything I can do to be of service to you I shall be only to glad to help you. Please express my greatest sympathy to any of Smith's friends: but I do not know any of them or their addresses. I hope you are in good health also your family. Please accept my respects and regards. I am, dear Sir, yours faithfully. At the turn of the century, Thomas and Elfrida were living at Covertside, Kings Mill Lane, Redhill near Reigate with their son William who was now an engraver, their telephone number being Redhill 7. Their married daughter, Elfrida, was now living in Narbonne Avenue, Wandsworth with her Insurance Broker husband, James, and their three children: Stanley (4), Frida (2) and 8-month-old Kathleen. He recalled starting work in the printing industry as a "devil's apprentice". By about 1864 he was the London Correspondent for the Worthing Intelligencer, notably writing criticisms concerning Benjamin Disraeli. His first publishing business was in Essex Street, Strand, where he produced the "Family Novelist". For many years the company's telephone number was London 2903 at this address. In the 1870s he was in partnership with John Pearson and Robert Squire trading as T.H.Roberts & Co. but firstly Pearson left the company in 1881 followed by the subsequent company dissolution in 1882. His many publications included Ching-Ching's Yarn in the late 1880s, Lazy Land (1893), Popular Album (1895), Photos and Sketches (1895), Boys' Stories of Adventure (1898) and Good Company. Later, in Fleet Street, he took over Illustrated Bits, which he altered and made successful. He was proprietor of many journals, one was "In Town', a high class magazine, where Roberts was the first to introduce the two-coloured picture. Initially, 158 Fleet Street had the telephone number of Holborn 6565 but within a few years this became Holborn 565. He was pleased to recall in later years that he had produced the "Penny Novelette" in 1875 and published over 100,000,000 copies. This was an original idea whereby he ran a complete story instead of running serials with "to be continued..." where everyone had to wait for the next edition! Roberts was one of the first to use photographs instead of "crude drawings" especially with regard to sport. When Edward, the Prince of Wales's horse Persimmon, won the St.Leger in 1896, it was one of Roberts' papers, complete with photograph, that was placed before the Prince of Wales the same evening - the copy showed His Royal Highness leading his horse in the paddock. H.R.H. was so pleased he accepted 200 copies. It is probable that this event was to act as a precursor for royal involvement in 1897. By the turn of the century, Roberts's billiard room at Covertside displayed many mounted pictures of horses. By 1898, the Roxburghe Press petitioned for the closure of Roberts's Company but it appeared to last until January 23, 1908 when it was voluntarily wound up. He then formed T. Harrison Roberts (1908) Ltd which barely lasted twelve months with his company finally being removed from the Register Of Companies in March 1913. It was about 1908 that they moved house for the final time to Blenheim Park Road in Croydon attracting the telephone number of Croydon 525. He was a keen sportsman and the first publisher of the Sporting Times. As a notable supporter of Surrey athletics, he donated a shield to the Surrey Road Racing Association for annual competition and when road racing was abolished a new society was formed namely the Surrey County Cycling Union at their ground in Herne Hill. The main prize of the annual competition was the 'Roberts Shield'. To raise money for charity he also gave what became known as the "Surrey Charity Shield" to the Surrey Football Association and raised over £3000 for local Croydon charities. Between 1910-1912 Roberts would have been pleased to note that Old Kingstonians, from his town of birth, won the shield. Though not involved with official public life, he did enjoy Croydon and its surroundings and was very active in getting trees planted in the road where he lived, 41 Blenheim Park Road, as well as showing interest in the well-being of the town. Roberts had been Chairman of the School Board and also the Parish Council at Horley. 1885: Initiated at St Martin's-le-Grand Lodge, No. 1538, in London. Described as a Journalist, aged 35, of 26 Finsbury Park Road. Master 1894 and 1901. Member until death. 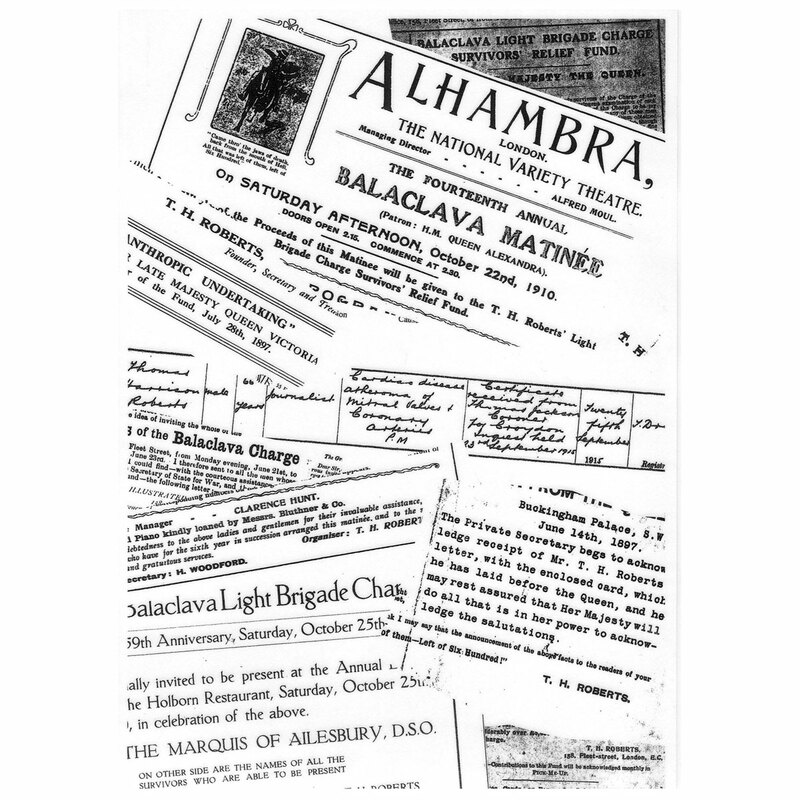 1888: On the 3rd March he was a Joining Member of the Royal Albert Lodge, No. 1362, Redhill, Surrey. A Journalist of Earlswood. Master 1891. Resigned 24th November 1901. 1894: On the 16th May he became a Joining Member of Arlingworth Lodge, No. 1821, Brighton. His profession is given as "none" and his address being 158 Fleet Street, London E.C. He resigned in September 1898. 1895: Appointed Provincial Junior Grand Deacon of the Provincial Grand Lodge of Surrey. 1899: Appointed Provincial Grand Treasurer of the Provincial Grand Lodge of Surrey. 1905: Appointed Grand Standard Bearer of the United Grand Lodge of England. Roberts was also Vice-Patron of the Royal Masonic Institution for Boys and Vice-President of the Royal Masonic Benevolent Institution. He was also a Member of the Board of General Purposes of the United Grand Lodge of England between 1903-1906. 1891: On the 10th January he was a member of Exalted Gallery Chapter, No. 1928, in London. 1895: He was a Founder Member of the Royal Albert Edward Chapter. No. 1362, of Redhill in Surrey. 1896: Founder and 1st Principal of Studholme Brownrigge Chapter, No. 2431, in Mersham, Buckinghamshire. 1896: Appointed Provincial Assistant Grand Sojourner of the Provincial Grand Chapter of Surrey. 1901: Elected to the Grand Chapter Committee of the Supreme Grand Chapter of England, he was re-elected in 1902 and 1905. 1903: Thomas Harrison Roberts was appointed Grand Standard Bearer of the Supreme Grand Chapter of England. During the First World War his appeal to Surrey Lodges on behalf of his Balaclava Fund raised £137 3s 6d. 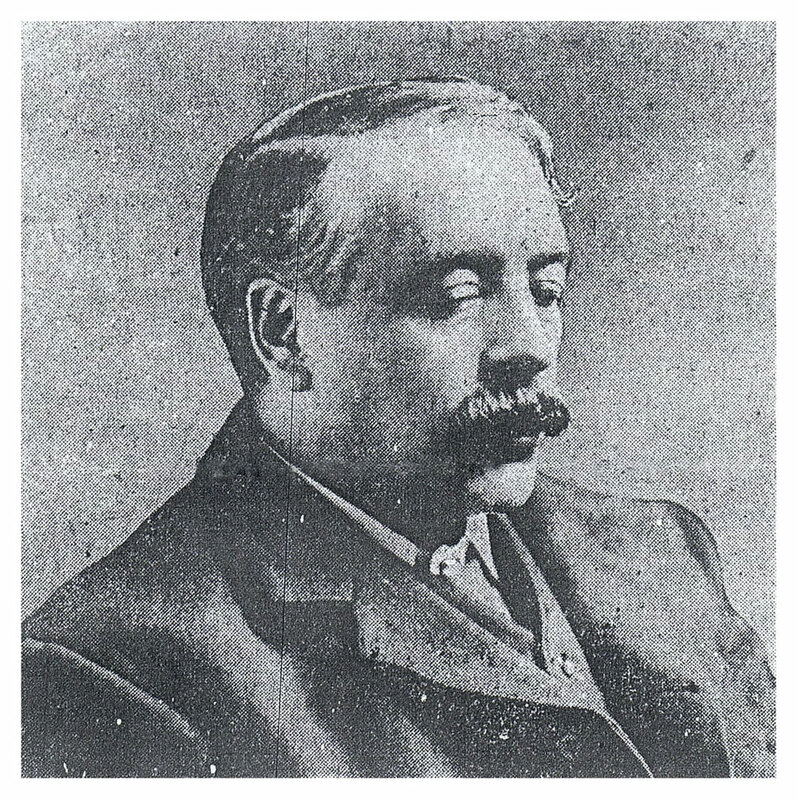 He also formed the Reigate Rifle Club and was for many years the popular first President of the Institute of Journalists, of which he gained his Fellowship. The later years saw the loss of two close family members. First of all his wife, Elfrida, died at their home on the 9th October 1912 aged 63 of "Acute Bronchitis and Syncope" and Roberts had the sad task of registering her death three days later. Just over two years later his daughter, Elfrida Burgess, passed away at the Kent County Lunatic Asylum in Chartham on 10th November 1914. She was only 37 years old. Roberts' family history noted that she had died heart-broken and of a nervous breakdown after her husband had left her. The Burgesses had lived at Mount Pleasant Cottage, St. Mildred's Road, Ramsgate and the Asylum Doctor noted that she had "Suppurative Tonsillitis for 5 days and Exhaustion from Mania for 2 months". She was brought home to be buried in the family plot with her mother. The 11th Hussars held their first Old Comrades Association Dinner on the 31st March 1909. Roberts was to maintain that of all the regiments who gave to his regular appeals, the 11th were the most generous having given £1600 in total of the £8000 distributed to date - the notable exception was the 4th Hussars who did not appear on his letter head whereas the 8th-11th-13th and 17th did. In writing to thank all ranks for their donation of £22 in 1909, he also asked for any cast-off clothing or underlinen which would be put to immediate use. A similar letter was sent twelve months later when the 11th collected £22.10 shillings. Roberts attended the 4th annual O.C.A. Dinner on 20th April 1912 along with survivor William Pennington - and a Sergeant W.M.Lummis was also present. Again in 1912, the 11th sent £25-1-6d to the October Balaclava dinner where Roberts acknowledged that four widows had been left without help and consequently had been added to his list of beneficiaries. At the 6th O.C.A Dinner on April 25th 1914, Roberts again attended and was to propose the last toast of "The Balaclava Heroes" and further stated that there were 8 survivors under his care. Another one of the guests was R.Q.M.S. W.M.Lummis. Over seventy years later, the then Canon William Murrell Lummis M.C., the acknowledged authority concerning the survivors of the Charge of the Light Brigade, was to become the first President of the Crimean War Research Society. On the anniversary of Balaclava in 1909, Roberts arranged for ten of the Chargers to be filmed, "living portraits', under the title of "The Last Muster' - Messrs. Brooks, Jones, Parkinson, Mustard, Spring, Hindley, Ford, Briers, Wilsden and Herbert. It must have been a very proud moment for all concerned and we can only hope that in the future a copy has survived. A few weeks later and Roberts organised two open carriages for inclusion in the Lord Mayor's procession on the 9th November to carry Ford and Herbert of the 4th, Spring and Briers of the 11th, Lamb of the 13th plus Mugg and Mustard of the 17th. The Times noted that they were "homely, grey haired fellows, who acknowledged the cheers of the crowd with tremendous delight." He stated in 1910 that he regretted it was necessary to sustain the fund by persistent begging! In the coronation year of 1911, the census was taken on Sunday April 2nd and Roberts described himself as a journalist. Besides his wife, his daughter was there stating that she was also a journalist and brought along her son Hugo. He must have been very proud to accompany 15 of the veterans to Fleet Street to watch the coronation procession. He had secured a letter from Buckingham Palace for the old soldiers to stand in a position of pride of place in front of the regular troops outside the Daily Mail offices in order that the King could acknowledge the old veterans. However, the King's Carriage did pass by but he did not see them. No doubt they still had an excellent day. A letter from the Palace noted that with regret, His Majesty sent his apologies. As Messrs. Fulton and Gibson had come down from Scotland and others also from a distance, it would have been interesting to hear their comments. I have just received your kind letter and cheque for which I am very grateful - it will help us a great deal and feel we can now take a little flat without so much risk. I shall give notice here this week, and look out for another home nearer to the city. There is a pipe, which, my husband wished you to have - shall I send it or will you call, also a book on Free Masonry. Again thanking you for your kindness. The following year he was formally acknowledged in recognition of the great service he had performed for the Survivors of Balaclava when he was invested with the Order of St. John of Jerusalem by Prince Arthur at St James's Palace on June 12th, 1912. On 14th June 1913, Roberts wrote to thank Sergeant Lummis for informing him of the death of Wm. Ellis of the 11th and that he was sending Mrs. Ellis a cheque for £5 to defray funeral expenses, and also that he was putting her on his "widows list" for 5/- per week, as long as the fund lasts. 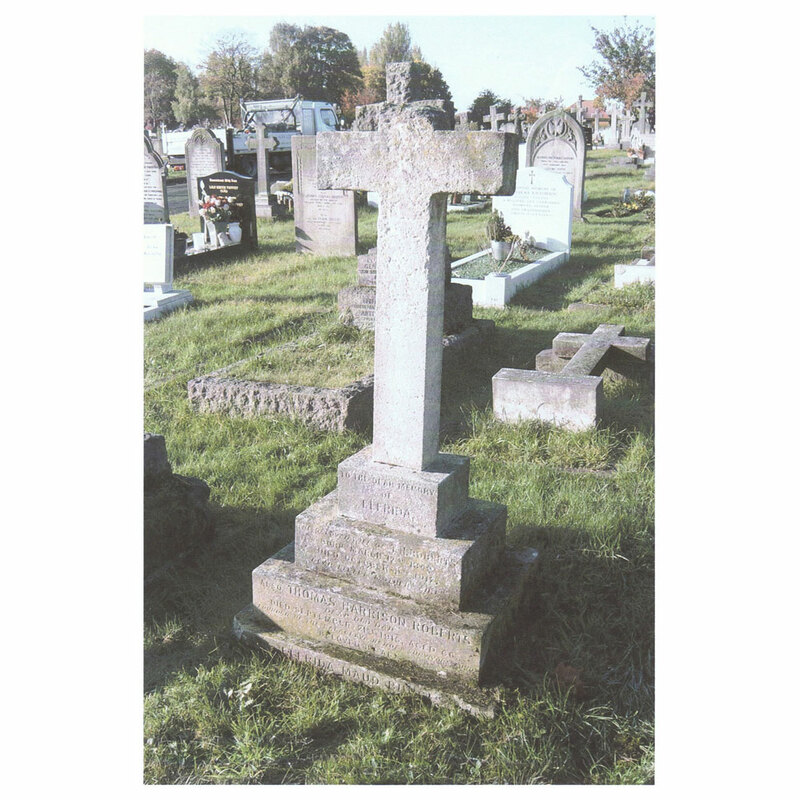 Thomas Harrison Roberts passed away suddenly on 21st September at his home Freda Cote, 41 Blenheim Park Road, Croydon. An inquest at Croydon General Hospital, performed by Dr. T. Jackson the Borough Coroner on Thursday evening the 23rd, was told that Roberts had been quite ill the previous winter with bronchitis but had recovered and though this and the loss of his wife had affected him, he carried on positively. Ironically, two days before his death, he had seen a specialist who had given him good news concerning his health with the result that Roberts had arrived home declaring that "it had put two years on his life'. His housekeeper, Miss Mary Hurst, recalled that after he had retired for the night, she had heard him cough loudly and fetched some balsam but found him insensible - he had died before the doctor arrived. The certificate recorded "Cardiac Disease, Atheroma of Mitral Valves and Coronary Arteries'. After the jury had returned their verdict in agreement with the medical facts, the Coroner paid a glowing tribute to his work with the Balaclava Heroes Fund. The ceremony was of the greatest simplicity in accordance with his wishes and took place on Saturday afternoon 25th September. The service commenced at St. Augustine's Church and concluded with his burial at Bandon Hill Cemetery in plot number F51, with his wife and daughter. Their final resting place is 20 yards from the cemetery office. Besides his family and contingents of the 11th and 13th Hussars, there was a significant representation from many Mason lodges. Amongst the huge floral tributes was one from Balaclava veteran Henry Wilsden of the 4th: "With sincere sympathy in loving memory of our dear friend from Balaclava'. With the passing of Roberts there were only eleven survivors still alive: James Mustard, Henry Wilsden, George Gibson, Thomas Warr, John Parkinson, Percy Smith, William Fulton, James Olley, John Kilvert, William Pennington and Edwin Hughes. Roberts's sons, Will and Tom, were to continue his work before the Royal Patriotic Fund took it over. Finally, in 1925, the Duke of Connaught who was President of the Royal Patriotic Fund Corporation (already representing thirteen associations) announced that the Light Brigade (Balaclava Fund) had become exhausted and that several agencies had agreed to find the £65 p.a. necessary to fund Edwin Hughes, the last survivor of the Charge of the Light Brigade.